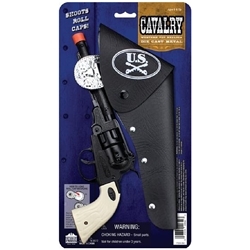 Decorated vinyl holster with belt and 11" blued, full die-cast revolving cylinder pistol. Finger tip break barrel action. Shoots roll caps.